Birthday Weekend Highs and Lows – He Said What?! This past Saturday we celebrated Aaron’s birthday. It was a big one, too, because Aaron turned 30 years old. However, to Aaron it was a big birthday because every birthday of his is big in his book. He had none of the qualms or sadness or excitement about turning 30 that most of us have……which is really good, I guess, because he doesn’t fret over age at all. He frets over more important stuff, like are we sure we’re going to Texas Roadhouse and that Rosie can come and what time we’re leaving and can she come over to our house after dinner. 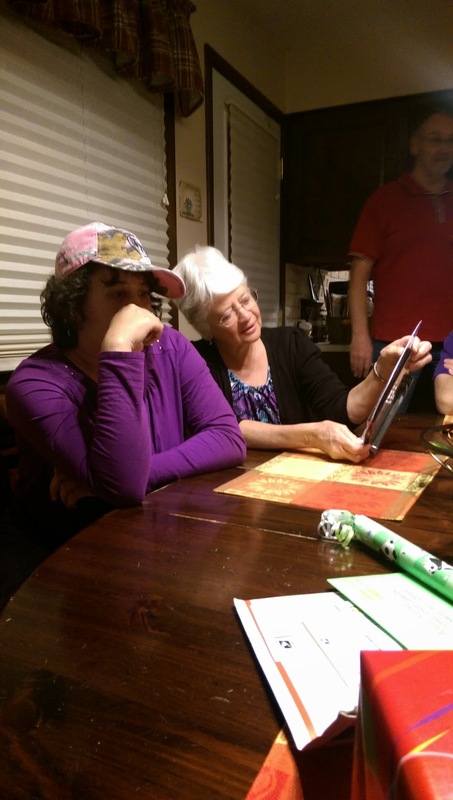 30 years old means nothing to him……supper and time with Rosie does. In fact, for months he and Rosie have talked about his birthday. Every time I would see Rosie when Aaron was brought home from his group, she would ask me if she was going to get to come to Aaron’s birthday. I think some of the other clients got tired of hearing about it, but Aaron and Rosie checked and double checked, over and over. A couple weeks before his big day, Aaron looked at the calendar and mentioned that his birthday was coming soon…..for real! “Mom!” he exclaimed. “At first it seemed like it was a long time for it to come!” Now it was within sight, almost, and his excitement was building. Aaron has never liked a ton of attention on that day, surprisingly enough. He loves the food and the gifts, but he still doesn’t want singing or other attention focused solely on him. He’s a mix of emotions around that day, for sure. So I was surprised when he agreed for me to make cookies for him to take to his day group on Friday, the day before his birthday. I offered, thinking he would say no, but instead he said yes…..and I was very happy. It’s like having a child in grade school again. I gave him cookie ideas, none of which greatly excited him……until I suggested M&M cookies. He said a hearty yes to that idea, so last Thursday I made his M&M cookies. “Well, what’s it mean to be in honor of your birthday?” he asked. HaHaHa!!! So typical Aaron! Life should be in order, and celebrating his birthday the day BEFORE his birthday is very out of order. Silly Mom, he seemed to be thinking…..but the next morning he did take the cookies and he shared them with his group. Progress! I laughed and asked him what he would want. He said tacos, and I loved the smile on his face when I told him that tacos was what I had planned. His birthday eve was going well! The next morning, Gary and I both wished him a very happy birthday and he just replied, “Yeah,” as he walked away. 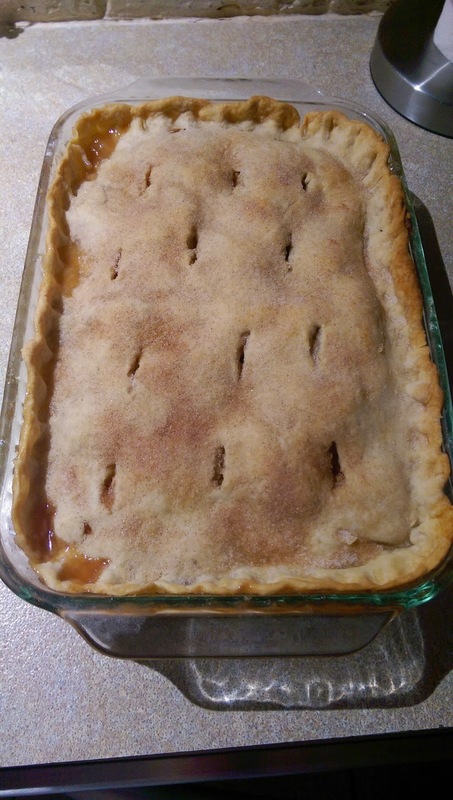 I made his usual apple pie that he loves, and he looked at it with very little visible excitement……but I know how Aaron’s mind works and I knew that he was taking mental notes of everything and enjoying it in his way. 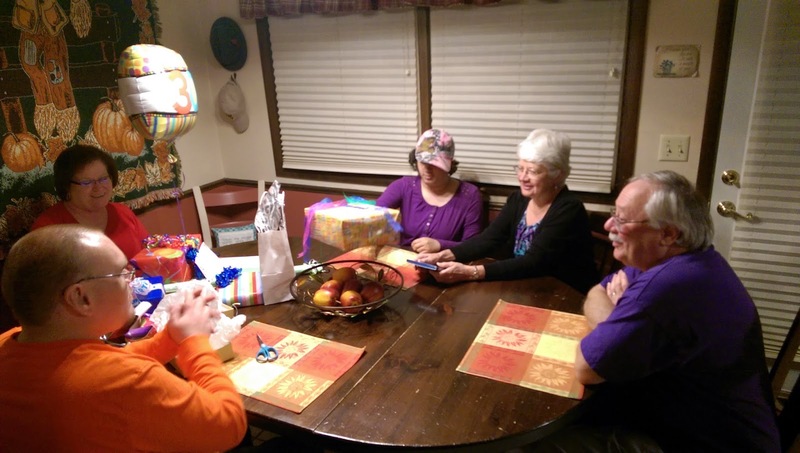 The traditional birthday sign, the gifts and “30th” birthday balloon on the table, the apple pie…..all of it was important to Aaron, though he showed little outward joy about it all. 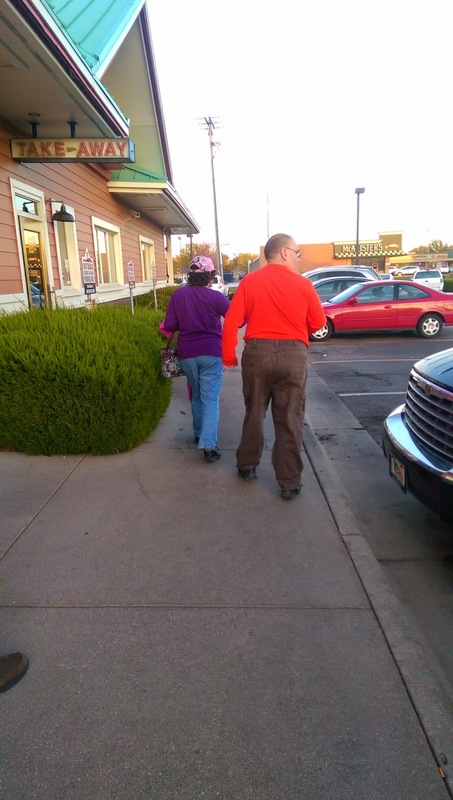 We met Leroy and Louise, along with Rosie, at Texas Roadhouse…..but there was an hour wait, so we decided to go up to Outback. Rosie rode in our van, she and Aaron sitting in the back, and talking the whole way. No one minded changing restaurants and it worked out well. After dinner, we headed to our house. Rosie and Aaron rode with us again, talking as always. 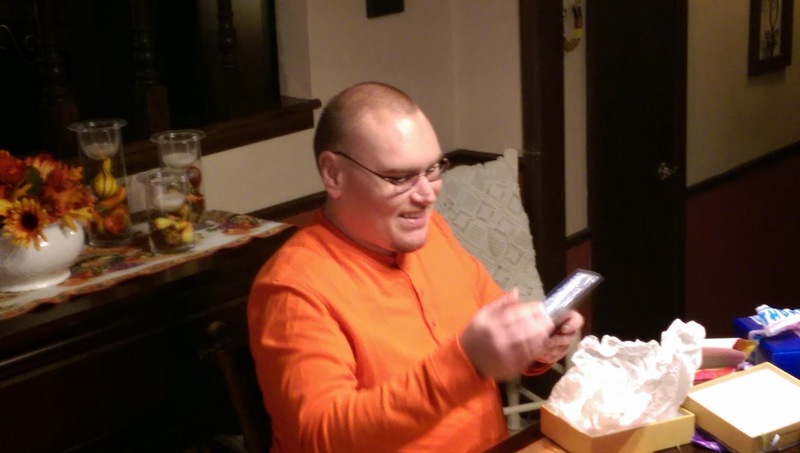 It was a fun evening of pie and ice cream, Aaron opening gifts and cards, and plenty of talking again. 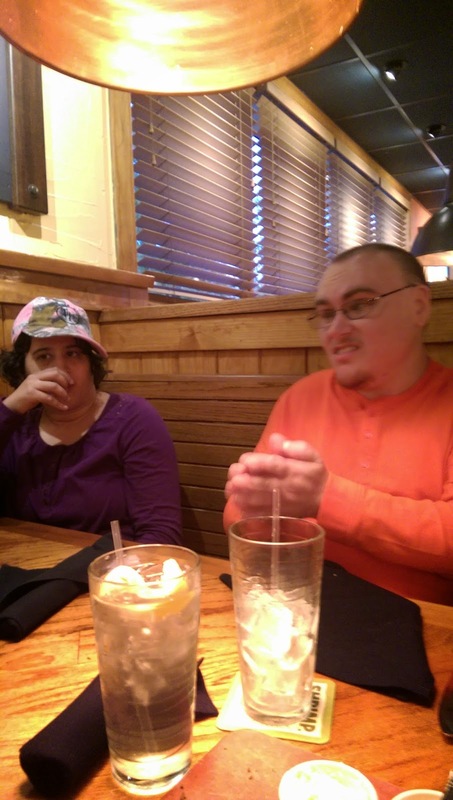 It was wonderful to see Aaron and Rosie enjoying their special friendship on this special day. And Aaron loved having everyone go upstairs before they left so that he could show them his bedroom. That’s what Aaron does! Later that night, I told Aaron about all the many birthday greetings he had gotten on FB. I told him that at that point he had 48 birthday wishes! He smiled, and so I started reading some of the comments. He patiently listened for a minute and then interrupted me to ask, “Are you going to mention all 48?” I guess he had heard enough, so off he went to his room to examine his new birthday gifts and to unwind after a fun evening. The next morning, Sunday, he had a seizure at 4:30, and another one at 7:00. Gary and I stayed close to him all day, and sure enough he had another seizure later that night while sitting in his desk chair. He was fine and was able to get in bed after a while…..but as always, our emotions were mixed. So happy he had a wonderful birthday……so thankful that he didn’t have a seizure day on his birthday……so sorry to see him seizing and then see the effects on his body and mind all day. So thankful that he slept well last night and woke up being his perky self. I saw a picture on Facebook this morning that said no matter what is going on, there is always, always something to be thankful for. Being thankful is an exercise that all of us benefit from, and is certainly what God has told us to do. And thanks to each of you who love Aaron and wished him a Happy Birthday!! Your love for Aaron blesses our hearts and encourages us more than you know. “Yeah,” as Aaron would say.